The meeting was attended by over 30 representatives of institutions from eight countries, including BlackRock, Goldman Sachs and JPMorgan. 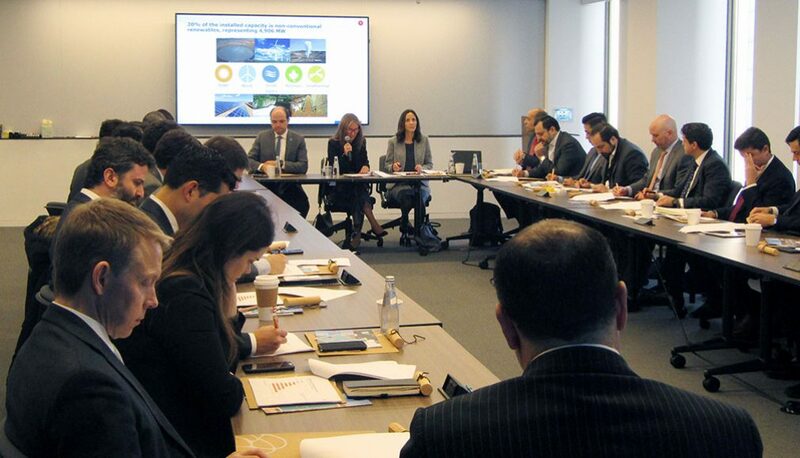 The Minister of Energy, Susana Jiménez, and the director of InvestChile, Cristián Rodríguez, traveled to New York to promote investment opportunities in Chile’s energy sector. 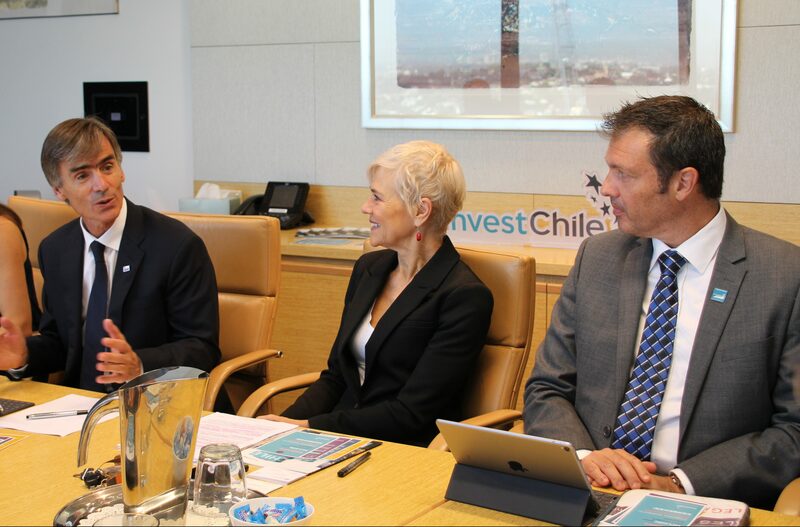 During their visit, they met with representatives of the world’s most important banks and investment funds. The meeting, organized by InvestChile with the support of Deloitte, was attended by over 30 representatives of institutions from eight countries, including BlackRock, Goldman Sachs, JPMorgan, Crédit Agricole, Citi, MFUG, Caixabank, Allianz, Korea Investment Corporation, Mizuho Group, Santander and Société Agricole. 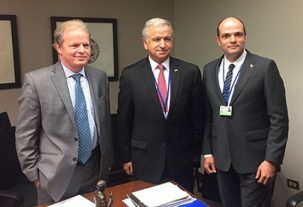 Attention was drawn to Chile’s good business climate and its comparative advantages for investment in energy, with Minister Jiménez emphasizing the government’s interest in energy interconnection with Argentina and Peru and the opportunities offered by the country’s new energy transmission tender. The government is seeking to award contracts for the construction and operation of new transmission infrastructure and the expansion of existing infrastructure, including a total of 56 projects with a reference investment value of US$409 million. Minister Jiménez pointed out that the energy sector attracted investment of close to US$3,124 million in 2018, positioning it as the third most important sector in terms of investment. “Today, 30 power plants, representing a capacity of almost 1,900 MW, are being built. It is essential that transmission keeps pace with this development and there are already 1,351 km of lines under construction which, once complete, will have implied an investment of some US$1,700 million. 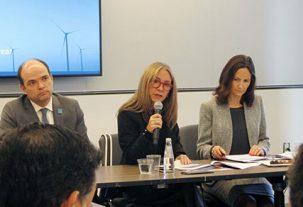 As these numbers clearly reflect, the Chilean energy sector is today a dynamic and competitive sector, with investment driven entirely by private companies,” she said. Rodriguez noted that, out of the portfolio of potential projects for a total of US$14,000 million with which the agency is working, one-third corresponds to the energy sector. 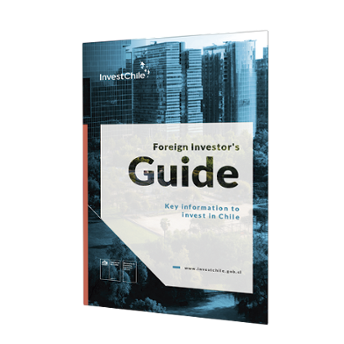 “This demonstrates the interest of overseas companies in the opportunities offered by the country,” he said, adding that InvestChile will also be promoting the opportunities in the electricity sector with the Ministry of Energy and the National Electricity Coordinator in Berlin, Washington and Beijing. 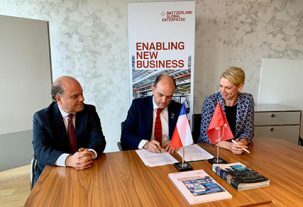 Cristián Rodríguez-Chiffelle, director de #InvestChile visitó la central hidroeléctrica más grande del mundo “Tres Gargantas”, ubicada en Yichang, China🇨🇳 Se reunirá con ejecutivos de la compañía el miércoles para hablar de oportunidades de inversión que ofrece Chile en energía.